Next Energy’s principals bring a rich set of commercial experiences to each assignment. They have broad credentials and strong collective business and government track records in Australia, North America and the UK. Graham has worked for a wide variety of private and public sector clients on public lighting projects over more than a decade including the Southern Sydney Regional Organisation of Councils, regional NSW organisations of councils, NSW Road and Maritime Services, Westlink M7, IPWEA, the Commonwealth Department of the Environment & Energy and individual councils in a number of jurisdictions. His most prominent project is a major public lighting initiative for 30 local governments in the Sydney area addressing pricing, technology and service issues for the consortium. His public lighting work includes technology reviews, tender advisory work, LED lighting trials, maintenance monitoring, service level negotiations with utilities, strategic plans, business cases and regulatory filings on behalf of local governments. Graham has engineering and MBA qualifications with many years of public lighting experience. He is a Member of the IPWEA and an Associate Member of the IESANZ. 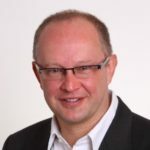 Paul has enormous depth of experience with public lighting including three decades managing lighting networks for UK councils and running a public lighting contractor in the UK. 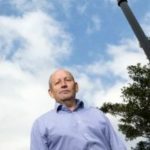 In Australia, he is best known for his work leading the City of Sydney’s pioneering and highly successful deployment of over 6,500 LED public lights. This project was not only the first large LED deployment in Australia, but one of the first long-term outsourced public lighting contracts with a specialist service provider. Paul has managed contracts for the industrial design, manufacture and supply of multi-function poles and was responsible for developing a full range of electrical asset technical specifications for the City of Sydney. Paul has extensive electrical and lighting qualifications and is one of the few lighting engineers in Australia to have IPWEA Professional Certificate in Asset Management Planning. He sits on two key Standards Australia lighting committees and is the past chairman of the Scottish Region Institution of Lighting Engineers. Paul was also a member of the Institution’s National Council. Paul is a Member of the IESANZ.